Must be completed before your certification expires. 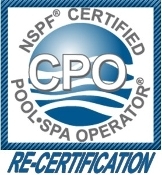 Copy of Certificate of Certification must be emailed for faxed to instructor to qualitfy. This is a real option through the regular 2 Day Classroom Certification with discount coupon. You must complete your recertification before it expires to receive this pricing.